A film studio is to open in the centre of Glasgow this Autumn for the preservation of historically and culturally significant footage from across the world. After securing £400,000 of funding, archiving company iMetaFilm will boast digitisation technology that allows high-quality scanning of images. 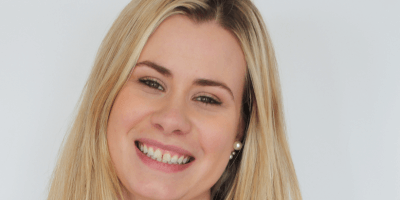 It hopes to employ up to 100 staff over two years. Clients include the University of Edinburgh and the Library of Congress in the US – home of the largest film archive in the world. Michael Howell, co-founder, explained: “If Scotland really wants to preserve its sense of self and identity through film, then we need the big players on board. “We need to delve deeply into the archives at the National Library of Scotland, our universities, and the main broadcasters including the BBC. Only then can we fully appreciate, understand and showcase what it means to be Scottish to the wider world. The announcement comes at a pivotal time for the Scottish film industry. Earlier this year the Culture Minister, Fiona Hyslop, announced plans to develop a film studio based in Cumbernauld. Angus Hay, Investment Director at Kelvin Capital, commented: “iMetaFilm has made technical advances never previously seen. 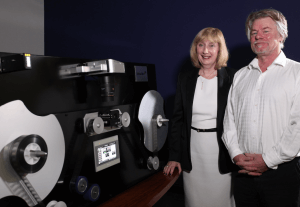 “Not only has it managed to digitise reels that were so fragile and precious, due to the passage of time, and bring previously forgotten footage back to life; but it has developed a process to recover the audio that would have been lost forever. The growth of iMetaFilm comes at a pivotal time for the Scottish film industry. Earlier this year the Culture Minister, Fiona Hyslop, announced plans to develop a film studio based in Cumbernauld.